A large boat was unhooked from a trailer and crashed into a roadside barrier in an unusual traffic accident on Thursday morning. 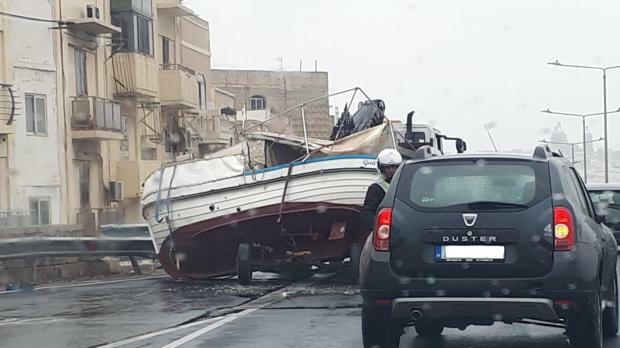 The accident happened at about 10.45am on the Marsa-Ħamrun bypass, Marsa. People on the scene said it appeared that the tow truck braked suddenly. The boat being towed on a trailer swung to one side, hitting and damaging a crash barrier, witnesses said. No one was injured but the accident caused a traffic jam.